From Mighty Joe Young to Clash of the Titans, Harryhausen: The Movie Posters by Richard Holliss, is a fascinating look at the posters that helped sell the magic. At a special screening of First Men In The Moon, at London’s Regent Street Cinema this Autumn, Richard Holliss spoke about his love-affair with movie posters. 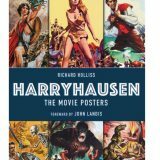 A passion which has resulted in a new book, celebrating the famous, the obscure, and the ‘lost’ posters of one of cinema’s greatest visionaries: Ray Harryhausen. In 192 full-colour pages, Harryhausen The Movie Posters showcases every poster from every one of Ray’s movies, from 1949’s Mighty Joe Young to his last completed work, Clash Of The Titans in 1981. Unbelievably this is the first time that a book has been published devoted solely to Harryhausen film promotional art—and it’s one that will thrill both Harryhausen fans and aficionados of film art. Author Richard Holliss has worked closely with the Ray & Diana Harryhausen Foundation–-a charitable foundation started by Ray in 1986 to protect his body of work–-to collect together a lavish array of posters and promotional material from the Foundation’s own archive, as well as private collections from around the world. Some of these will surprise, especially posters from Eastern Europe, which seem to reflect a decidedly avant guard view of the films they were promoting. As Holliss mentioned during his talk, sadly many of these artists are anonymous. Some, were simply in-house illustrators who produced thousands of pieces of art over long and diverse careers. What they all share, though, is that ability to evoke nostalgia: for a world of Sunday afternoon matinees, and a thrilling ride though the imagination of Ray Harryhausen. Beautifully presented as a hardcover coffee table art book, Harryhausen: The Movie Posters features an introduction from director John Landis. Ray Holliss’ commentary guides the reader through the collection, with text that’s fun and informative. There are some surprises here too, which should delight film buffs everywhere. 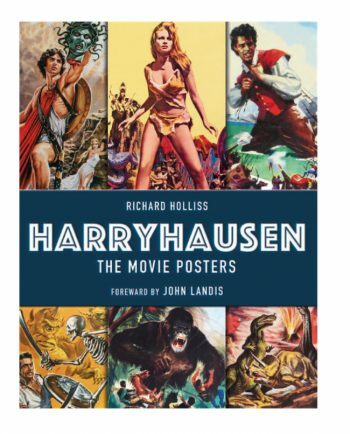 Harryhausen: The Movie Posters is available from Titan Books, ISBN 1785656783.